up to £8k now...what will it go for? Anyone want a Harris Magnum and 999 Ducati so I can buy this? may be bidding on this as luckily a guy up the road from me wants to buy my cbx -c prolink . its mint only done 3k miles so bit unsure as unrestored bikes are always at a premium . like they say " you can restore something a hundred times but you only get an original once ." told him I want at least at least 8k for cbx . they are massive bikes . 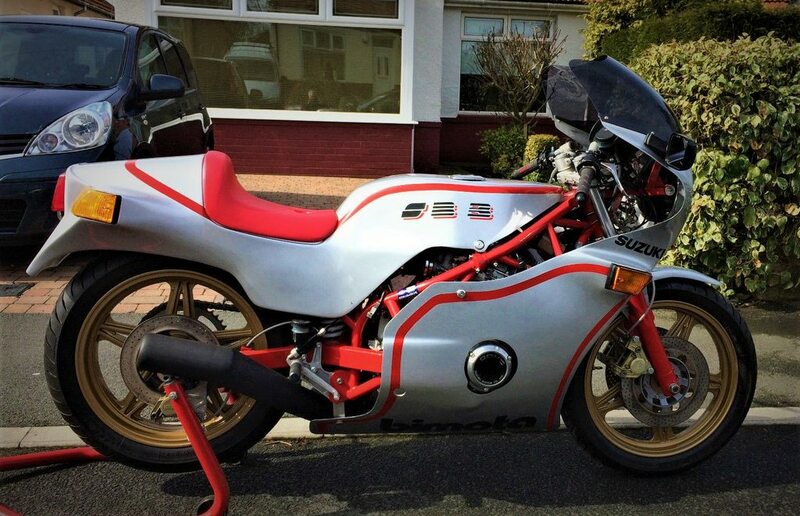 may be bidding on this as luckily a guy up the road from me wants to buy my cbx -c prolink . its mint only done 3k miles so bit unsure as unrestored bikes are always at a premium . like they say " you can restore something a hundred times but you only get an original once ." told him I want at least at least 8k for cbx . they are massive bikes . I was down near MIIMC few weeks back p/x a triumph for an as new 2k miles miles ducati 749 to add to collection . I saw this bike though parts of procede, I use Mark for all my bikes service, he currently has my 900ss Bevel in shop we are converting to an Imola rep. He is a Great teck and I can recommend his work. Bike up for sale for £13K now at a dealers....closed at £9550 when on ebay with reserve not being reached....so did a dealer buy it or is it on a "commission" sale?????? "one local to us owner from new"
Really ? - having been imported from Italy and purchased by someone else? Congrats Stuart.....did the dealer source and fit a speedo drive cable? And/or swap the clip-ons around the right way or are you going to try it as it is?